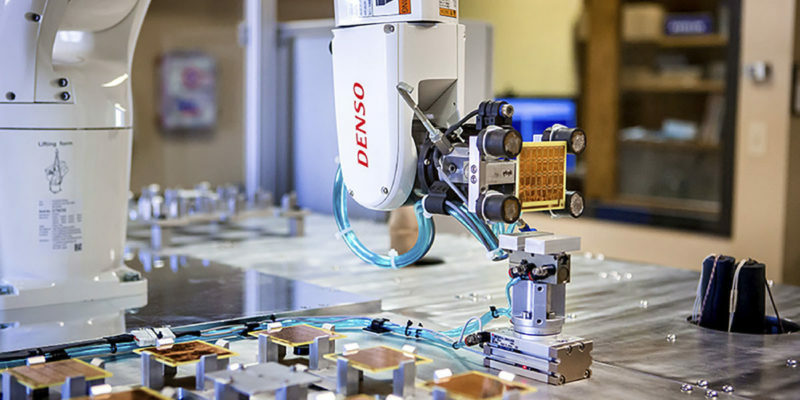 Corporate partners and dynamic facilities are reinventing innovation centers, in response to federal funding declines and global competition. In the early 1980s, the idea of university-related research parks began to pique the interest of business leaders around the world. These unique planned properties offered close proximity to university researchers, student workforces, and the cutting-edge discoveries in science and technology that could lead to commercial success for the companies that took notice. While each has its own unique approach and focus, numerous university research parks have sprung up over the past few decades. Traditionally, these facilities are located on open land masses near the universities that sponsor them, with goals to boost economic development and university reputations by successfully commercializing faculty research. In recent years, as universities have dealt with tightened budgets, their research parks have taken on new and important roles. Most higher education institutions no longer have sufficient funding available to sustain the original parks model. Now, the hope is that more-comprehensive innovation centers—supported by successful companies founded on faculty research—will help sustain the universities and their local communities. It’s a viable goal, and one that many parks are successfully reaching, but not without facing new challenges and experimenting with innovative solutions. These new realities are driving changes at university research parks across the country, from approaching new collaborators and refocusing priorities, to revisiting competitive advantages and creating new vibes to attract workers wanting more local action. Here’s how some are finding success. Construction of a new hotel will further enhance the University of Maryland Research Park, College Park. While stand-alone office parks across the country are becoming more multi-market and mixed-use entities, research parks and the universities they serve are following suit, says Brian Darmody, associate vice president for corporate and foundation relations at the University of Maryland. For instance, at M Square, the University of Maryland Research Park, which was named AURP’s Outstanding Research Park for 2015 (see sidebar, “AURP Honors Excellence” for a list of earlier park recognitions), construction is currently underway on a new conference hotel, retail space, and housing units, through a partnership with a private developer. While the university will maintain ownership of the land, the private developer will own and lease the buildings under a long-term land lease. After the term of the lease is complete, the land and any improvements (including buildings) will revert back to the university. Such agreements are common, particularly for residential housing (see “Debt Dynamics” in April 2015 Business Officer, for more on institutions using third-party developers for residential housing). Meanwhile, real estate developers and financing organizations are increasingly interested in working with universities to capitalize on the potential offered by cutting-edge research. Companies like Wexford Science and Technology and The University Financing Foundation (TUFF) work with institutions all over the country to develop parks capable of commercializing university research via private equity funds. For instance, when Georgia Tech wanted to build Tech Square, its state-of-the-art research facility for technology infrastructure systems, it worked with TUFF, which raised millions of dollars in capital and credit to accelerate the project in downtown Atlanta. The private robotics lab for one of the companies located at LSU Innovation Park. Louisiana Business and Technology Center, LSU’s 28-year-old business incubator at LSU Innovation Park. Albemarle Corporation (LSU Innovation Park is the former Albemarle Research Facility, whose researchers are working with several companies at the park). The NASA Stennis Space Center, a federal lab where the LSU Innovation Park operates a full-time staff office to facilitate tech transfer to Louisiana companies and the university. The Committee of 100, representing the 100 largest corporations operating in Louisiana. Carver Scientific, specializing in energy storage and advanced materials. The Louisiana Association of Business and Industry. The National Council of Entrepreneurial Tech Transfer (NCET2). The Louisiana Industrial Development Executives Association. The Water Institute of the Gulf. In 2014, the Brookings Institution released much-discussed research about the rise of “innovation districts,” or the move away from sprawling suburban business centers in favor of more walkable, urban centers that offer opportunities for housing and entertainment as well as jobs. While university research parks are distinctive from faceless industrial parks, many campus leaders feel the pressure to incorporate lifestyle components into their existing infrastructure in order to attract the entrepreneurs and top-level employees that lead to a park’s success. At LSU, leaders are focusing on creating an innovation district across the eight miles that include the research park, the university, and downtown Baton Rouge. While the pieces are in place to create a “work, play, and live” district, university officials are working to further develop relationships with downtown business leaders and the mayor to build a stronger partnership and a more unified brand. And it’s a mutually beneficial relationship: While the downtown amenities make research park jobs more attractive, the availability of high-tech jobs close by helps fuel the downtown district. The Frontier in Research Triangle Park is an open innovation space that brings global corporations, artists, startups, and nonprofits together in one place. 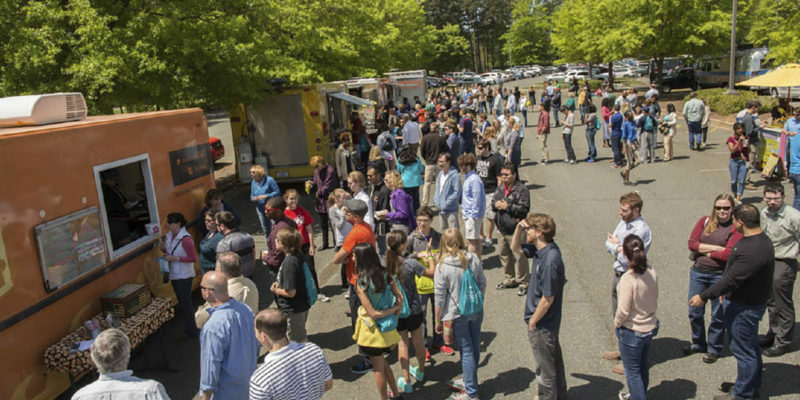 North Carolina’s Research Triangle Park hosts weekly Food Truck Rodeos as a way to grow the community between employees of the 200 companies located there. Another example is North Carolina’s Research Triangle Park (RTP), one of the original university research park successes, where a long history of severely limited suburban office space has made way for more flexible facilities. Park Center, a new mixed-use development in the middle of RTP, will offer 300,000 square feet of retail, hotels, multitenant office buildings, and a center at which the Triangle universities can convene. While the park’s own private, nonprofit foundation is leading the project, it is partnering with a professional development company as an adviser. 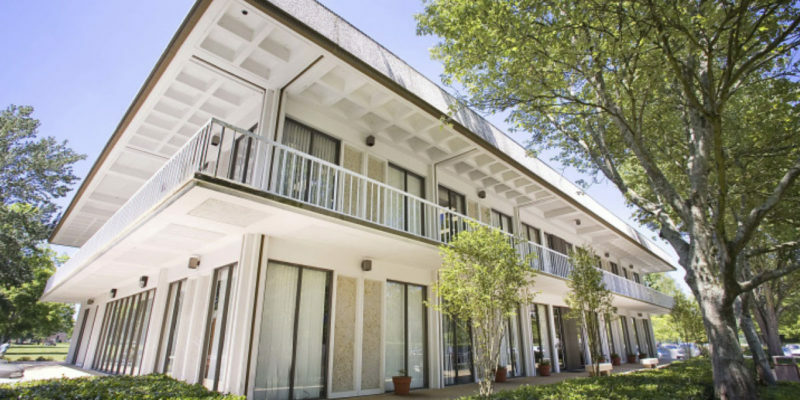 Recently, RTP redeveloped a centrally located building, transforming it into The Frontier, a unique gathering space with meeting rooms, free coffee, and WiFi available for anyone to use. “It’s an open, innovative space for the community where we blend art, culture, and technology, with university events and business events,” Ailstock says. 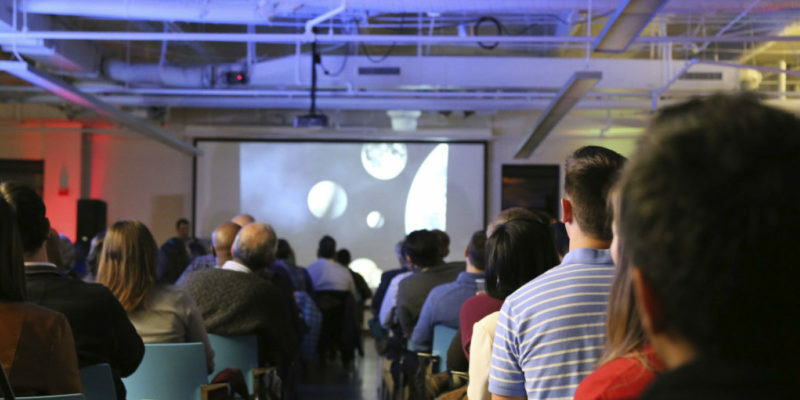 Programmed community activities, such as the Ted Talk–style “RTP 180,” are scheduled alongside university classes provided by North Carolina State University’s Center for Innovation Studies. IBM has also started making use of The Frontier with its Cloud Foundry Meetup groups; and Durham and Wake county school systems hold regular training sessions and meetings for area teachers. “It’s amazing what you discover when you remove barriers, invite folks who are brilliant and diverse—and then get out of their way,” Ailstock adds. Startups and commercialization. Other university research parks are finding their own avenues for capitalizing on their inherent strengths. At LSU, in an effort to encourage more faculty members to commercialize their research and consider starting new companies, research park leaders have worked with university leaders to simplify the process of licensing and commercializing university research. “The university administration has embraced the role of LSU in economic development and is encouraging the entire university to participate in the city and state economic development process,” D’Agostino says. Commitment from the top. Not only is it much easier than it once was to license and commercialize LSU-owned research, but the process is supported by the top university administration and lawyers, D’Agostino says. In addition, LSU is using university communications to highlight faculty members that have achieved patents, launched companies, or established licensing agreements to continue generating interest. For instance, Enervana Technologies, located in LSU Innovation Park, licensed a metal-based microchannel cooling system for electronic devices from LSU’s department of mechanical engineering; and Esperance Pharmaceuticals Inc. is developing targeted anti-cancer drugs under a license from LSU’s AgCenter and Pennington Biomedical Research Center. LSU also has established the Leverage Innovation for Technology Transfer Fund, which provides funding for faculty research that has commercial potential. The LSU Innovation Park works with award winners on business plans, competition analysis, and grant development to commercialize their research. 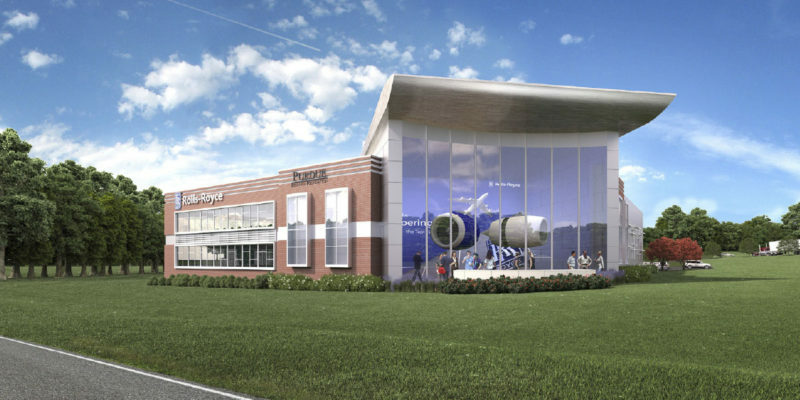 Rendering of the Rolls Royce building now under construction in the Purdue Research Park Aerospace District. For many university research parks, economic development has been—or is becoming—a crucial part of the mission. And access to the latest research and development of leading research universities makes them fertile ground for new companies that will contribute to their local economies. 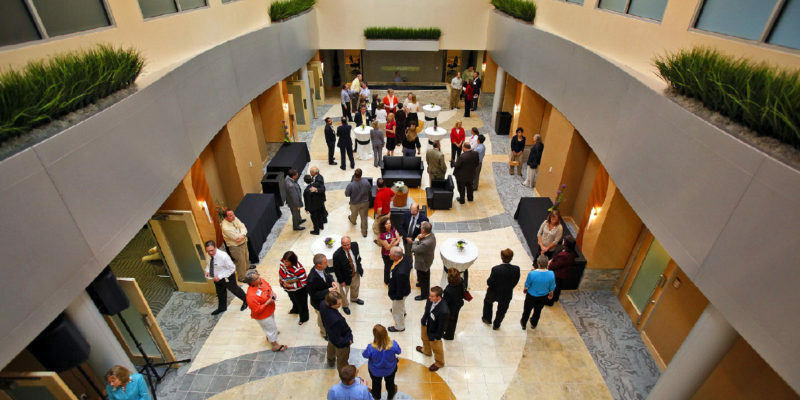 Interior of the Herman and Heddy Kurz Purdue Technology Center at West Lafayette’s Purdue Research Park. Purdue Research Foundation’s group of five research parks has developed expertise in launching new companies, especially with patented, university research. Last year, for instance, the foundation launched 49 new companies, 25 of them with intellectual property from Purdue University and with many of the startups located in the Purdue Research Park network. Although the university’s five parks are far-flung across the state of Indiana, with 200 miles between them, that presence in diverse communities has been a strong point for the system. Overall, Purdue’s intellectual property has contributed to the creation of more than 100 startups in Indiana; most are located in the Purdue Research Park of West Lafayette, which is the largest university-affiliated business incubation complex in the country. Animated Dynamics Inc. is a life sciences startup that has raised more than $1 million in funding and staffs five employees. The company is developing a Purdue-patented commercial biodynamic camera to improve cancer therapeutics. Cook Biotech Inc. is a biomedical company that has sold its products in more than 50 countries around the world and employs about 170 staff. The company’s primary product aids in the area of tissue repair and is patented by Purdue. SensorHound LLC is an IT startup that has raised more than $1 million in venture funds and has eight full-time employees based in West Lafayette, Ind., and one consultant in Silicon Valley. The company is developing a Purdue-patented innovation that provides new ways to improve the security and reliability of endpoints in the Internet of Things. Spensa Technologies LLC is an ag precision startup that has raised $6.3 million in funding and has 28 employees. The company specializes in pest management technologies, including the Purdue-patented Z-Trap, which electronically tracks and controls insects. Spero Energy Inc. is an energy and chemical startup that has raised $1.4 million in funding and has five employees. The startup is commercializing a Purdue-patented technology to improve the efficiency of alternative fuel production and create high-value, renewable chemicals used in the flavor and fragrance industry. 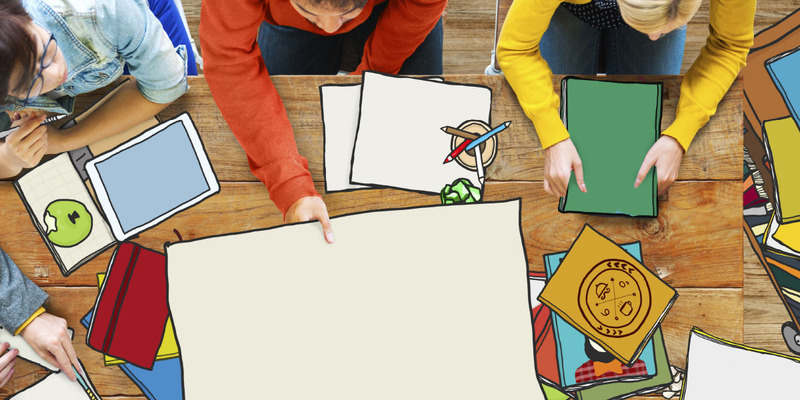 Napier and his staff work to capitalize on the unique strengths of the individual community and focus on launching or bringing in new companies that are a fit. For instance, New Albany, Ind., was already home to the Purdue School of Polytechnics, so leaders brought that school into the research park located in New Albany to increase access to technology faculty and researchers. In Indianapolis, where aviation and the life sciences are important sectors of the economy, the Purdue Research Park has focused on those industries. “Each community has its own strengths, but what those communities don’t have is Purdue and the people creating this research, and that’s what we can supply,” Napier says. Sought-after student researchers are attracted to dynamic university research parks because of the potential jobs that might be offered after graduation, along with opportunities for students to pursue their own research and to engage with private sector leaders in their fields, Ailstock says. An example of our competition is the multibillion-dollar One North, in Singapore, one of the largest and most impressive research parks in the world. 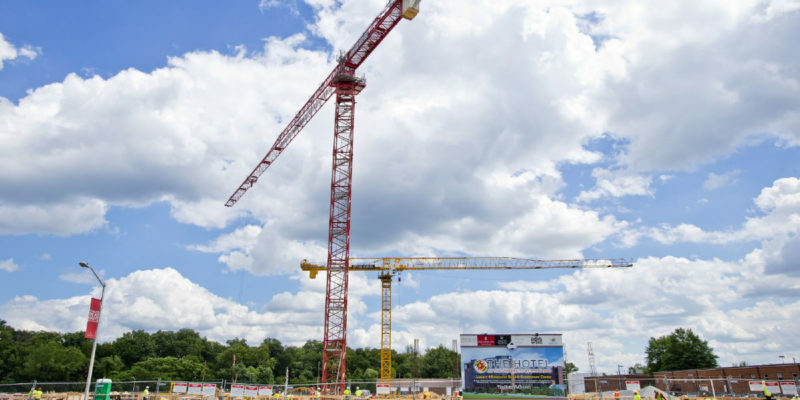 Park Center, a new mixed-use development in the middle of RTP, will offer 300,000 square feet of retail, hotels, multitenant office buildings, and a center at which the Triangle universities can convene.